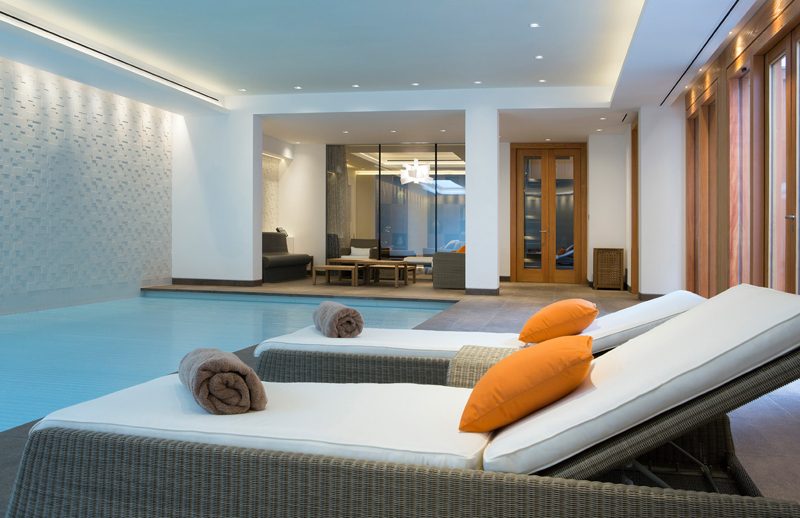 Wouldn't it be nice to feel more comfy even in the pool area? Adding of chairs or seating areas anywhere in the house creates more spaces for hanging out or bonding with family and friends. Every so often, I think that there are tons of awesome chair designs out there and it’s a matter of getting to the right place where you can get the chair that you actually want; because truth be told, most of the times, we’d prefer getting the ones closest to us even when we think there are prettier designs in some other store somewhere. Convenience versus cost. Which one do you usually choose? Below is a list that we have collated which basically revolves around different chair designs that you can use in your outdoor space or something around the pool. The chairs could either be lounge chairs while some are pretty much armchairs or sofas. Do check them out and tell us what you think! What do you think about the color used with the cushions in this outdoor seating area? For one thing, they are really eye-catchy and they complement well with the color of the concrete seen all around the space; and the fact of that there are a couple of trees in here, it feels a bit closer to Mother Earth. 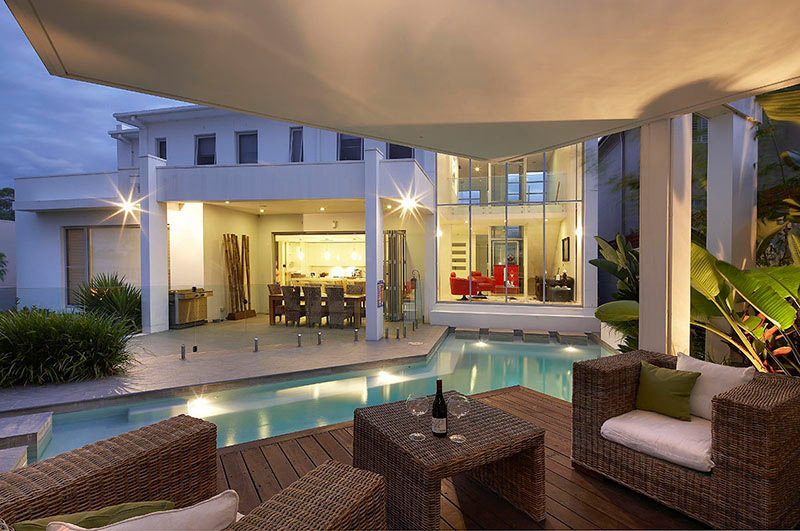 Now with a stunning space like this one, I would love to think that the home owners should enjoy having pool parties. 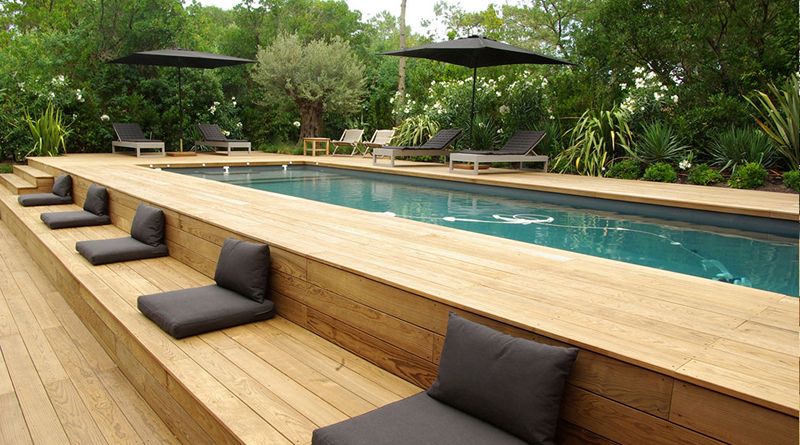 I like the fact that they used cushion fabrics similar to the colors used on the tiles of the pools too; wooden pathways adds a dramatic effect in this outdoor space. I can’t say for sure that this is actually a pool created for a home – because this space sure looks like there are a lot of seating; but it may belong to a large family. I personally like this set-up though; also, the fact that this place is like wrapped in wooden planks is pretty cool. 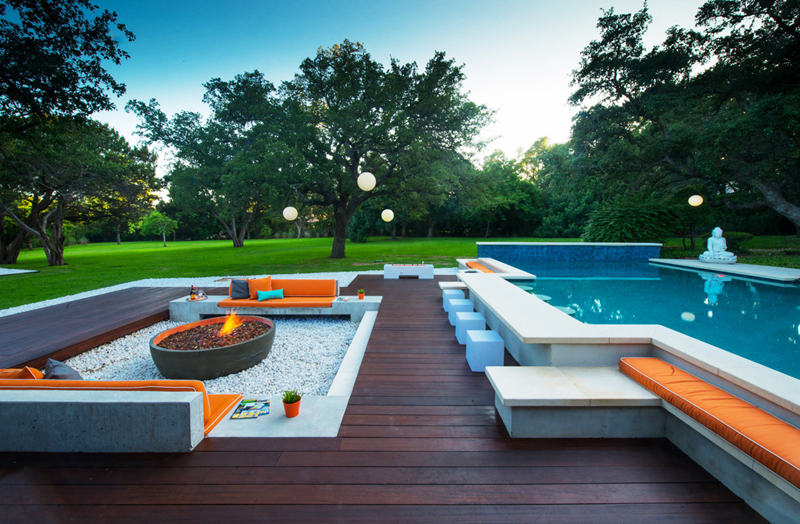 This outdoor area with a swimming pool is a bit looking like a vintage space or something. 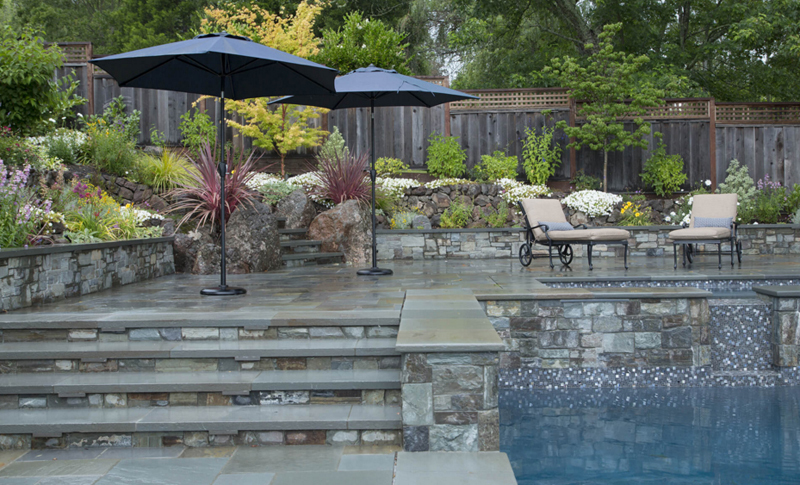 The use of the stones seen on the stairs and the walls of the pool sure looks pretty awesome. The choice of lounge chairs and the umbrellas in stainless steel is neat. I added this outdoor space in this list because of the cute lounge chairs in here. The cushions seem a bit like how yoga mats are made – slim but pretty much comfortable; plus the color is quite the thing too! Adding cute coffee tables to outdoor spaces like this one makes the space prettier. Now, this is one indoor pool; unusual but is practiced. Personally, if I’d have a pool in my house, I wouldn’t want it indoors since I would really love to get the tan while sun bathing and all that; but of course this place is quite a beauty. I think that I already have featured this space somewhere, sometime before; why not, right? The swimming pool sure is simple, but quite large. The view of the house, those cute bushes and the large trees on the background is something I would enjoy seeing everyday. 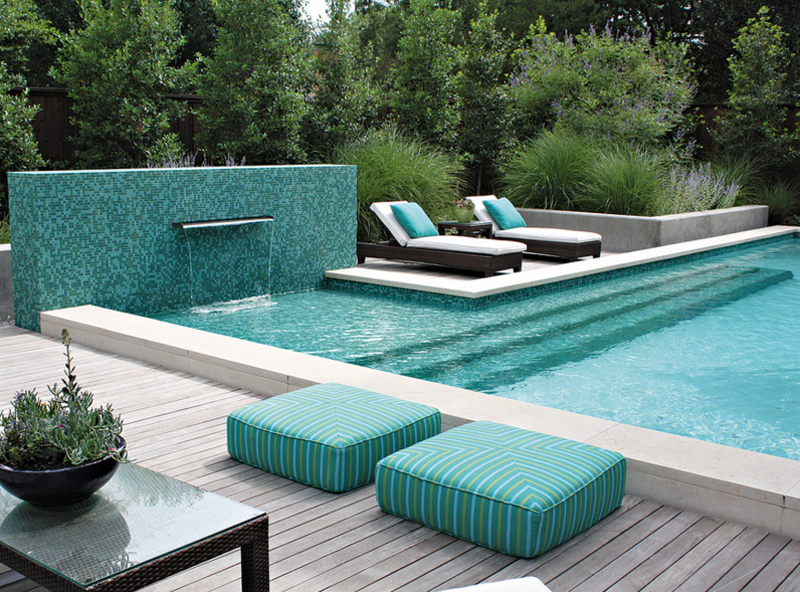 A cool shape for a pool and I think it’s really fabulous! 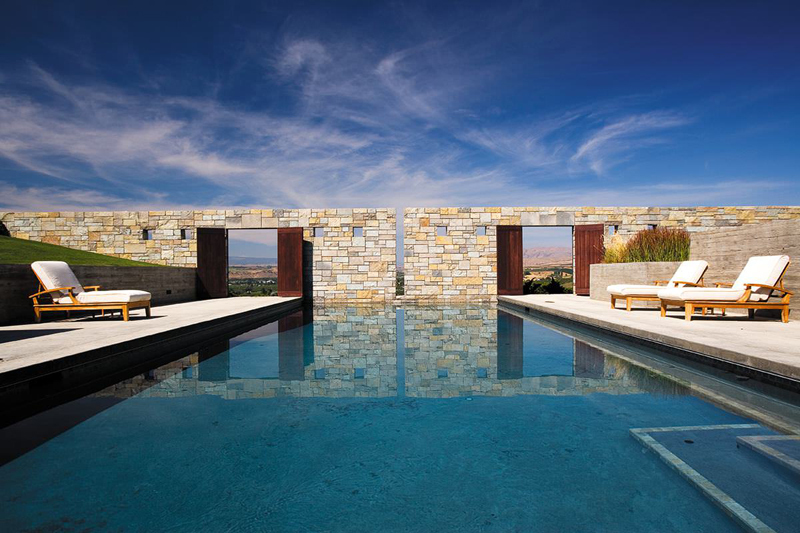 The stone work done around the pool and it sure looks really pretty and awesome. I like how this Anaheim home has this great backyard for them to enjoy and maybe inviting people over would mean that they’d enjoy it too. This home sure looks a bit rustic because of all the bricks used in here. 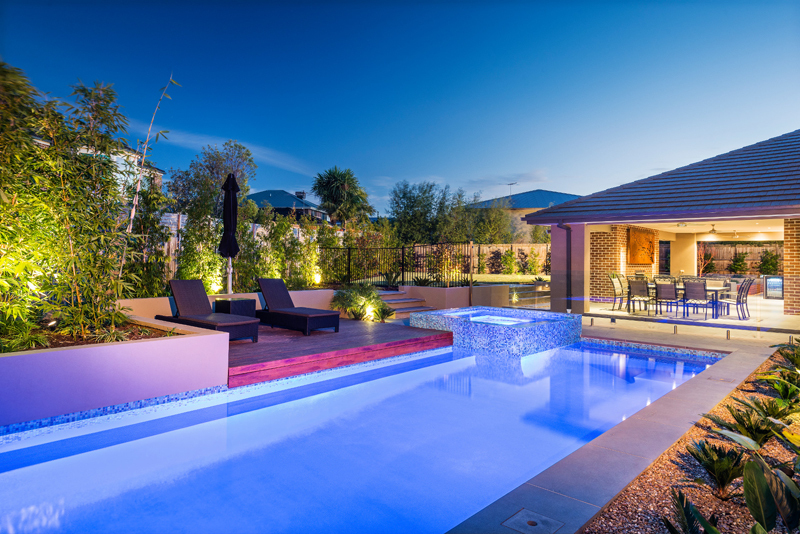 A beautiful swimming pool, a cute jacuzzi which is surrounded with cushioned lounge chairs – this sure is one place I’d love to really hang out in and have fun with my family and friends. This Crosby home looks a bit simple from this angle but is definitely a beautiful space in general. 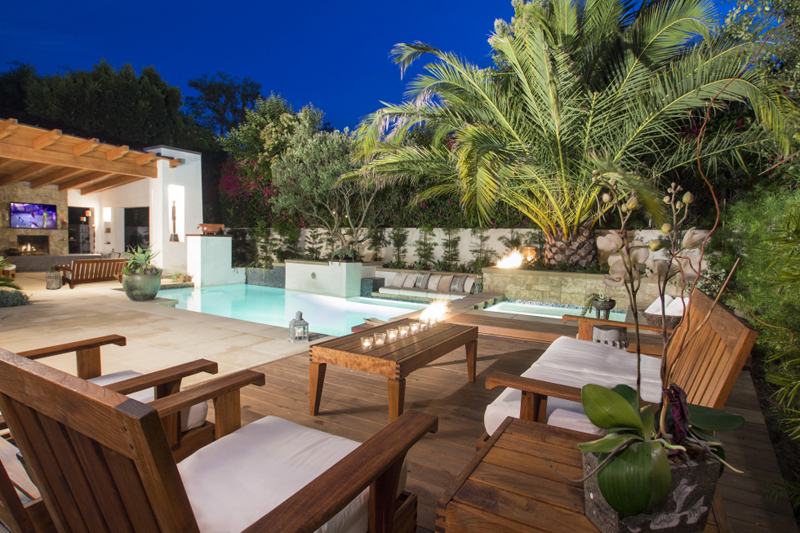 The unique pool and fountain in this space is sure a treat! What do you think about this space? In the Philippines, there are a couple of hotels or resorts that have Bella Vista in their names – I mean, why won’t they consider it, right? When they have the prettiest views to offer the people who would actually visit them! Wherever this place is, I sure wish I could visit it. The area is just perfect-looking – so fancy and crazy beautiful. I’m pretty sure that the people who lives in here enjoys the perks of the place and would love sharing them with their relatives and friends through gatherings or special occasions. With a stunning house like this one, plus a large front yard with a cool swimming pool, it makes me think that the teenagers, or even the parents living in this house would have a reputation for throwing the best parties – indoors or outdoors. 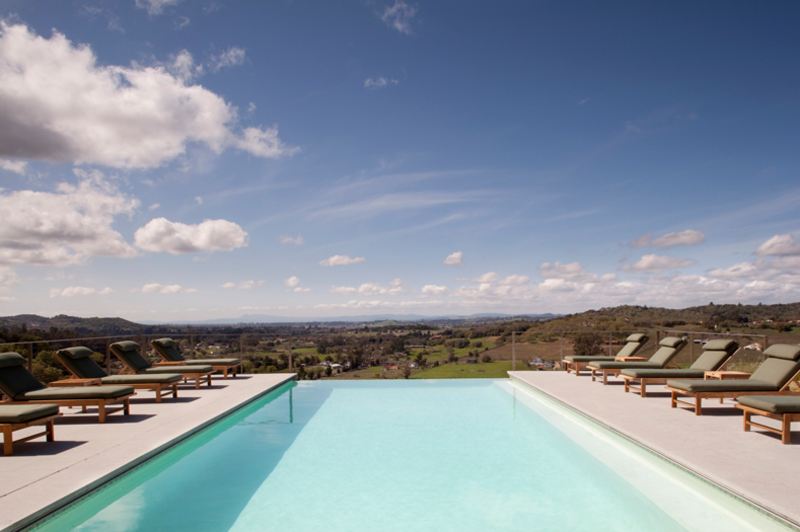 In a couple of TV series or movies that I’ve seen that involves Napa Valley – I get this admiration for the place. The vineyards that surround the place, the great sites there area and the people around these areas seem warm and loving; maybe it’s the wines that run in their veins, because this place sure gets a lot of credit for being a great place to visit. I always thought that trellises are pretty; that they’re great for the roof tops of our houses, in out gardens and of course by the swimming pools or patios. 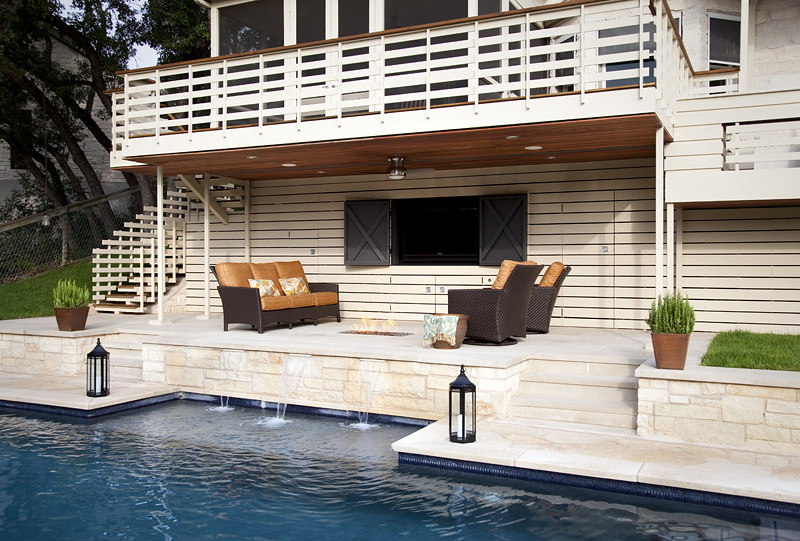 In here we see that the trellis covers the seating area added to this outdoor space for the people lounging by the pool area and the ones planning to swim. This home looks is a stunning villa with a lovely outdoor pool where people can enjoy awesome pool parties. The effect of the palms and the plants create a very natural and Earthy outdoors; the wooden trimmings in here adds that eco-friendly feel. This is definitely one large swimming pool! From the looks of it, this is a great place for big parties – whether it involves swimming or not. The large area allows the home owners to cater guests for awesome meals while the large swimming pool allows them to encourage guests to take a quick dip in it. 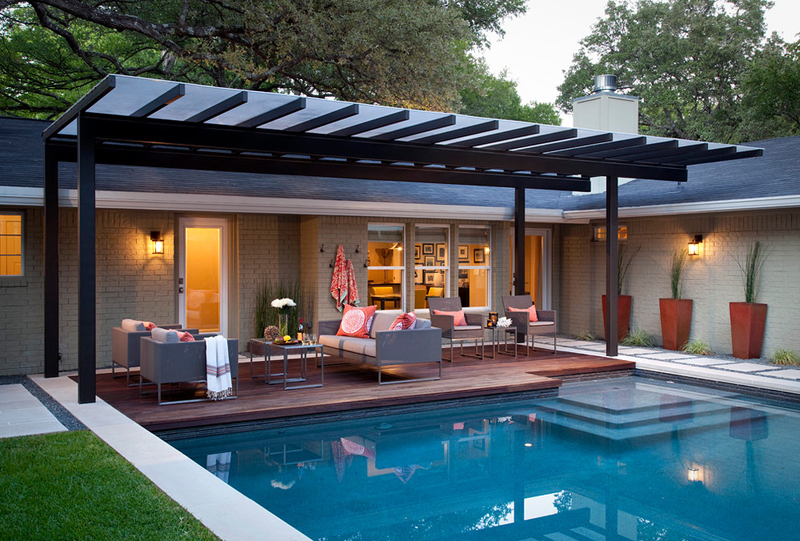 Now this Austin home sure is ideal for those summers wherein you just want to get away from the city. 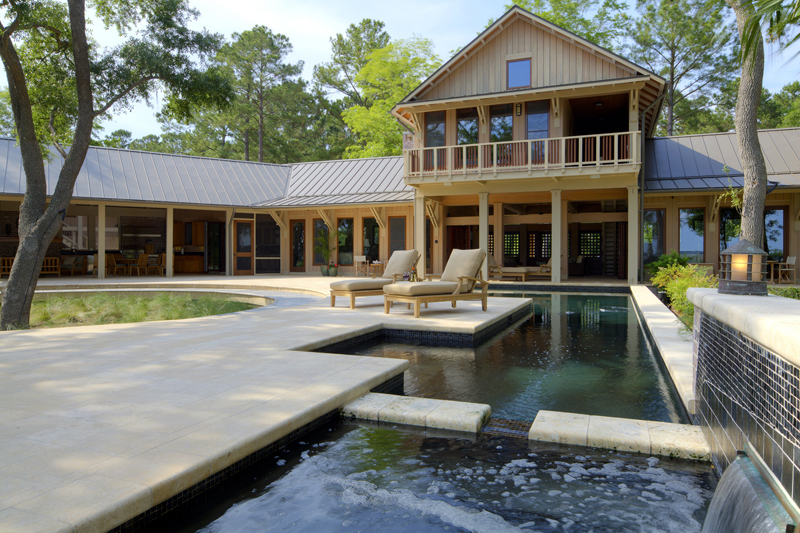 The country home and the great outdoors allows the home owners to relax and have fun while vacationing in a place they can also call home; even for the summers. This is one modern way of putting things – you want to hang out and chill, pretty much enjoy the outdoors while staying at home. This home in Vistas Las Palmas will surely be a great place to stay if you want to relax during the weekend – alone or otherwise. This is one awesome seating area that you can surely go ahead and sleep. 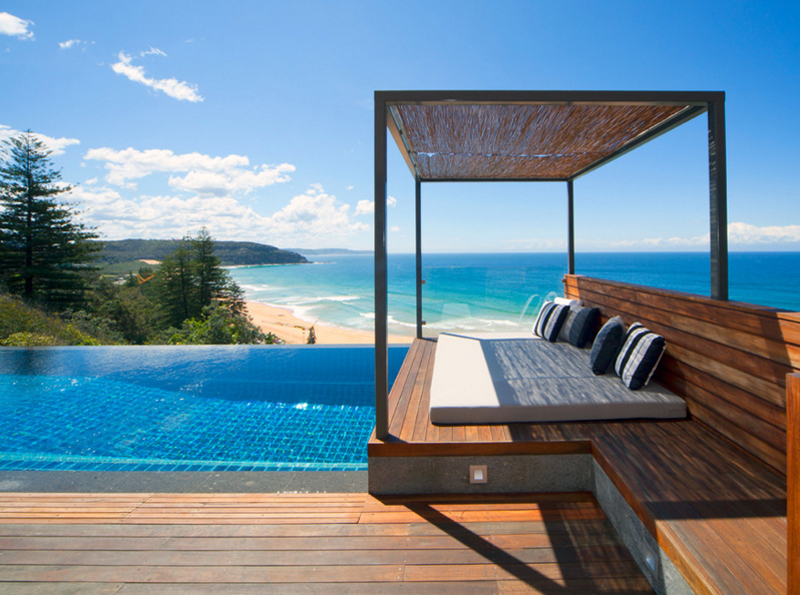 Lounging in a beautiful and serene place like this one is luxury everyone would enjoy. The stellar view of the beach is an additional perk you’ll get when you actually visit this place – they call haven. 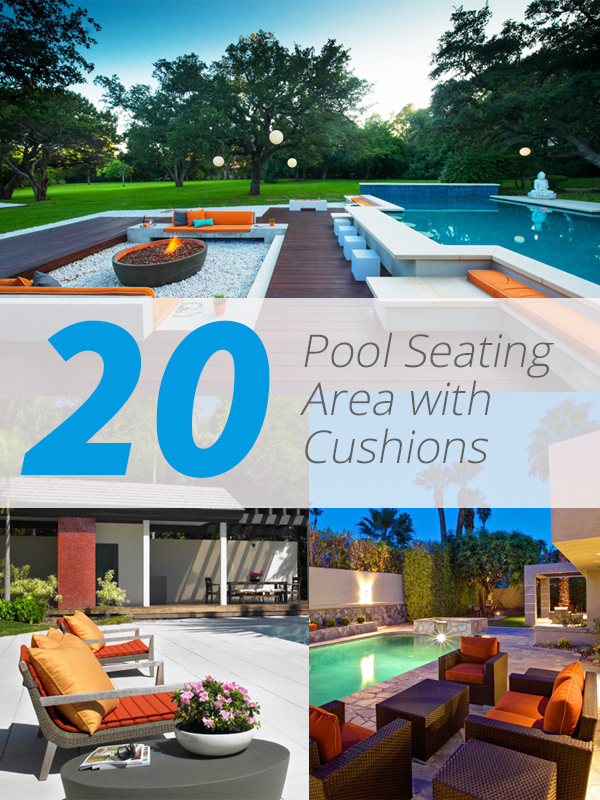 If this list of 20 Pool Seating Area with Cushions is a treat for you, you should go ahead and check out the wicker chairs in the pool that is as comfy as this list and share them with your friends! More awesome chair designs in the future from Home Design Lover!